Right now, I feel the only people who can make truly wonderful films are Europeans. You know, films that mean something and are more than meets the eye? Like Persona (1966). Okay, I admit it wasn't really my cup of tea. But the fact that it is Swedish and totally unique just makes it a really good movie. One day, actress Elisabet (Liv Ullmann) decides to become mute. She is sent to a hospital to get better, and maybe start talking again, where she meets Sister Alma (Bibi Andersson), a nurse who is willing to take her on holiday. The pair go to the beach, and Alma talks and talks about her problems, while hoping to get Elisabet to open up about her true feelings too. Film essayists and studiers love this film because of it's amazing shots. Literally, Ingmar Bergman is a genius. The way he uses the camera to convey a certain emotion, to shoot a scene, is amazing. If it was directed by any old person it would have been a flop. Since watching this film, the more I realised that I have to go to film school. However, this film is help up only by it's wonderful direction. I watched it and I thought, 'hang on, where's the story?' Maybe it's the whole point of this movie, but it lacked the narrative that it probably needed to translate to the intelligent part of the mainstream audience. There are a lot of loose ends, and it didn't fully satisfy me. Persona is a legend in itself. Sweden really does produce some great movies. This movie is definitely worth watching more than once. 7/10? It's one of my ten favourites of all time. Have you seen Mulholland Drive? That's another one of my ten favourite movies, and it's practically a remake of this, in some ways. 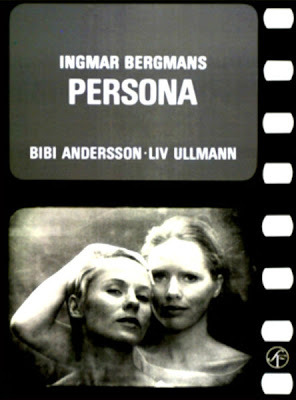 Ingmar Bergman is a genius (you might like his movie Cries and Whispers). I will probably watch it again. Something didn't sit well with me when I was watching this movie, but I can understand why you'd love it. I haven't seen Mulholland Drive, but I will probably do so soon. Ingmar Bergman is amazing. I'm going to go through his filmography one day. Maybe it doesn't give you a satisfying answer because there are no satisfying answers to the questions it poses.